JUST REDUCED!! Minutes to I-71 and shopping. Do you need a user-friendly floor plan for large crowds? Do you want home to be proud of? 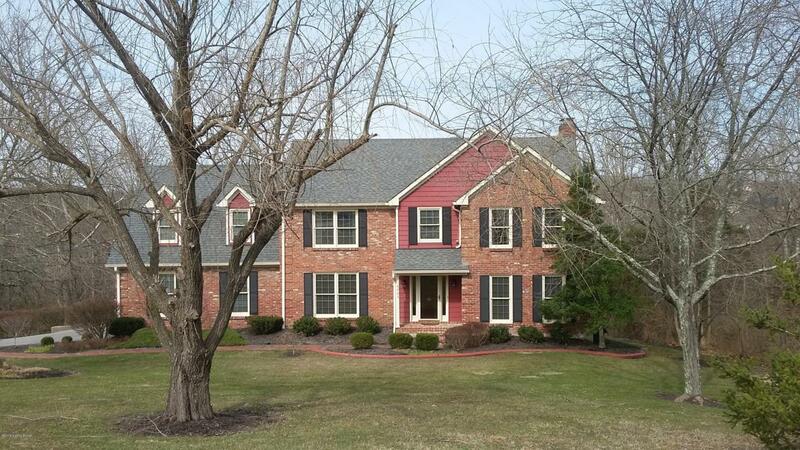 Well, this lovely 2-story traditional home nestled on 1.48 acres checks all the boxes! It offers a great floor plan. 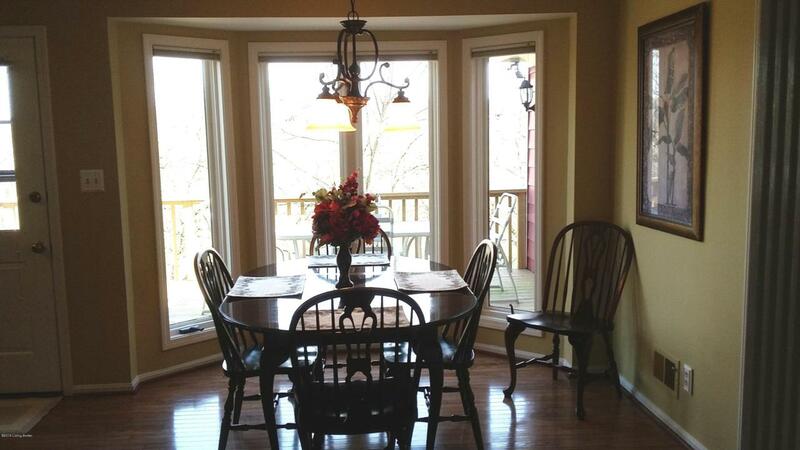 A 25x13 eat-in-kitchen area offers cherry cabinets, granite counter-tops, hardwood floors . . .plus formal dining room. The kitchen flows into a 15x20 great room with crown moldings (in most all of the house) with a gas, cobble-stone fireplace flanked by built-ins.. There is also a sitting room and ''formal parlor'' at either end of the family room. All of the rooms are sun-filled making for a bright, cheery atmosphere. 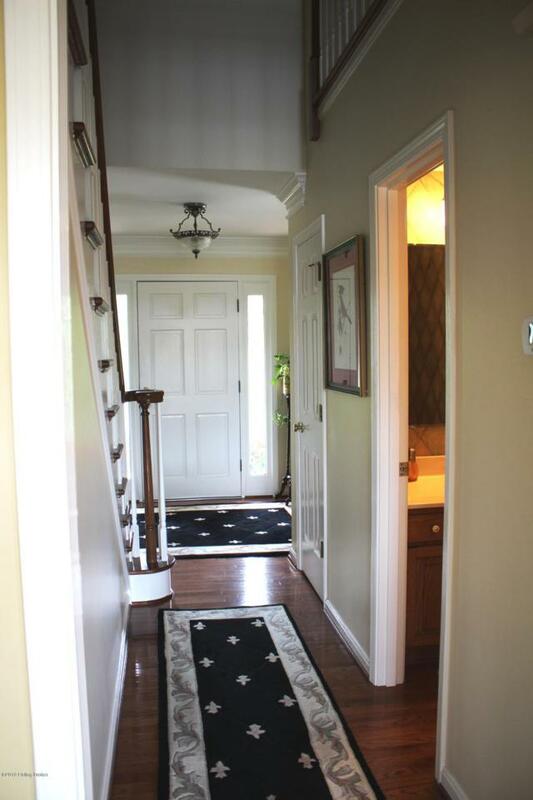 There is deck overlooking the acreage right out the kitchen door with a patio below the deck.Going up the open stairway you will find a beautiful hall bath on the second floor. There are 4 large bedrooms. The master is 14x19 with private master bath. There are three other bedrooms, the 4th is 18x14 and currently used for upstairs sitting area. 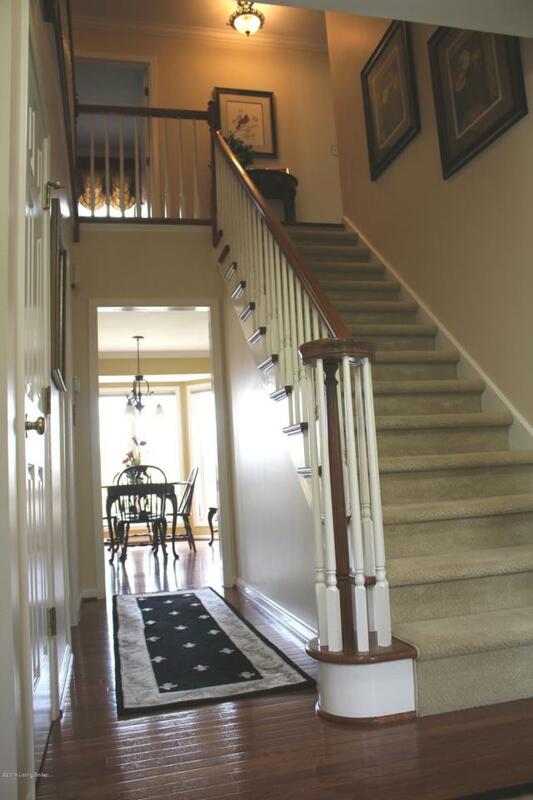 You will find carpet in the bedrooms, crown moldings, 2 closets in each room. There are a total of 11 closets upstairs plus a pull down attic that is fully floored. (See approximate room sizes all listed below.) There is over 1000 sq ft of unfinished walk-out basement except for the closets. Those walls are are finished. GENERATOR STAYS WITH THE HOME. (furnace, refrig and lighting) Excellent Oldham Co schools. Schools are Kenwood Station Elementary, South Oldham Middle School and South Oldham High School. It is recommended that you VERIFY school districts. Listing provided courtesy of Bluegrass R. E. Professionals. © 2019 Metro Search, Inc. All rights reserved.